Phottix's Ares II is a manual flash trigger with four wireless groups and a 'digital ID' feature to reduce interference. 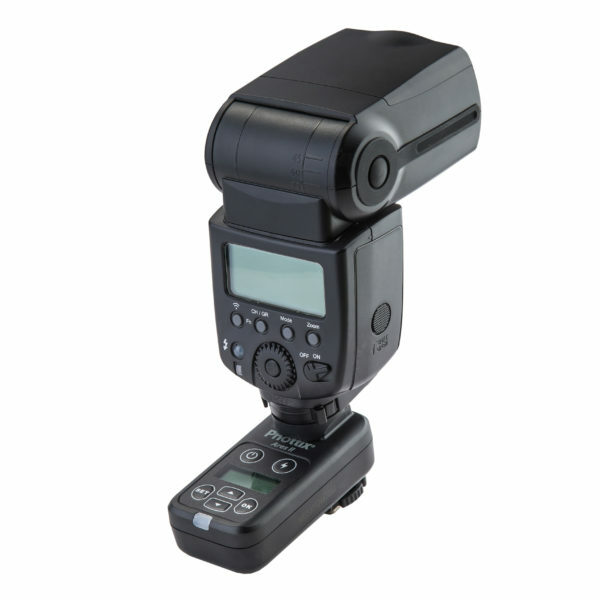 Phottix has announced a new manual flash trigger, the Ares II. The 2.4GHz radio remote works at ranges up to 150 metres with flashguns and studio lights. 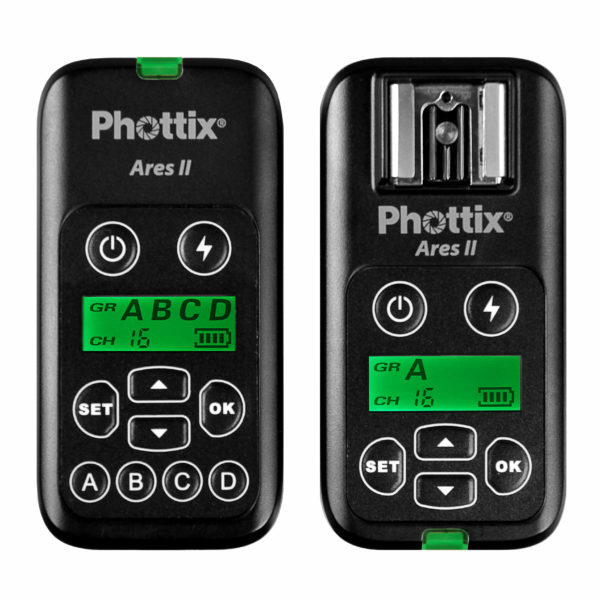 The Phottix Ares II is related to the Phottix Ares in name only; the Ares II is not backwards-compatible and the Ares’s flappy-paddle transmitter has been replaced with a more conventional design. There are now 16 channels to choose from, and the first four are compatible with the Phottix Strato protocol, meaning you can use it to trigger Strato II and Atlas radio receivers, the Mitros+ speedlights and Indra studio flash. You can also use it in tandem with the Sekonic L-478DR-PX light meter, which has a Phottix radio module built-in. Another big addition to the Ares II is wireless flash grouping: set your receivers to groups A, B, C or D and you can trigger any combination of them (15 combinations in total) from the transmitter. The interface couldn’t be simpler: there are dedicated A, B, C and D buttons, so just press a group’s respective button to toggle it on/off. The backlit LCD tells you the currently selected channel and group(s) and provides a battery indicator. Though pitched as a budget trigger, Phottix has also added something a bit special with the “Digital ID” function. Essentially, this lets you set a 4-digit PIN on your transmitter and receivers, so nobody can fire your flashes (even if they are on the same group and channel) without having the same digital ID set. If you are shooting alongside lots of other photographers who might be using similar gear (such as at a sports event), this avoids interference from other people’s radios. The Ares II runs on two AA batteries. Receivers have hotshoes for triggering speedlights and a 3.5mm sync port for connecting to studio flashes. Retail prices are $99.95 for a Phottix Ares II transmitter–receiver kit and $54.95 for each individual transmitter or receiver, available from Adorama. That’s $10 cheaper than the Phottix Strato II Multi, which has a TTL pass-through hotshoe on the transmitter, can wake up speedlights from sleep mode and works as a remote shutter release, but has fewer channels and lacks the Digital ID feature. The Ares II, having a single-contact hotshoe, should work more predictably with non-Canon/Nikon cameras and flashes. What do you think of this new radio trigger? Do you wish you could PIN-lock your off-camera flashes?